Character Contest 8: YOUR character! Your challenge for this week is to make an illustration of a character you either currently play, or have played in the past, in an RPG of some sort. It could be a guy from a computer shooter, or a classic D&D campaign, or a current online super-hero PBeM, or anything like that. Obviously I don't have any way of verifying that yes, this is a character you really played, so we're just going to have to go on the honor system here. The character cannot have been entered in a HeroMachine.com contest before. The winner as always will get to choose either to request one item, or a caricature of their head, to be included with HeroMachine 3. Good luck everyone! 100 Responses to Character Contest 8: YOUR character! If the character has been posted in the forums and/or on the front page but not specifically part of a contest, can I still use it? I think it’s ok to use a character you played in something like FFXI, as long as it was your character and not a pre-gen one. Posted before but not in a contest is fine Timespike. Okay this is Hammerknight That I played on FFXI.He is a Galka. I made him so I could spend more time with my kids. The oldest boy beta tested the game and got Isia and the other kids hooked. So in order for me to join the Family I needed to play.Within an hour I was hooked also.He is a warrior first of all but, he has done all the jobs. Most of all it let Isia and I spend more more time with the kids, even though some were miles away. On one three day week end the oldest boy, Isia, and I played almost non stop for the three days. He means a lot to me because he help me spend time with my kids and wife. Jeff would an online cardgame count? Sure D-Man, anything where you had to create a character. It should be a character you created for a game. This is Draven Dakar am AD&D 2nd edition FighterBard with the bard Kit Blade. Draven is a half Elf being 1/2 human 1/4 Drow elf and 1/4 Sylvan/Wild elf (his mother was half drow elf and his father half Sylvan elf). The first born Child to a well renowned Merchant family Draven was suppose to be the heir apparent to the Black Rose Mercantile empire. Draven had other plans he ran off and became a blade bard. Performing under the assumed name of Raven Hawks as his family was looking for him to force him into taking on the family business. Om his travels Draven meets and befriended numerous companions including Taleen Darkhope a Jester whom he fell in love with and eventually married. However all was not roses and sunshine for Draven his adventures won him them eternal enmity of the Slavers Guild and a personal war upon said guild. The war concluded when Draven personally assassinated the three head people of the Guild while on a rescue mission to release his wife from they as she had been captured and collared. Draven is one of my favorite characters as he was far more then a hack and slash character, the Champaign I played him in focused more on stealth and surprise then on all out battle. Sorry to hear that, RJ. If it helps, I’ve only ever used two characters myself. Mikal Scott and Damien Stadler himself…hey, Jeff, Mikal had a suit of cybernetic armor. It would be a separate picture to show him in it. Does that count as its own entry if I designed the armor in HM3? Here is a link to my first three entries, I may update the thread if I can think of any other characters I want to create. Garion Alrekson was my first RPG character ever. A Second Edition AD&D Priest of Thor Garion weilds a holy Relic of Thor. This War Hammer is one of the mightest in creation second only in power to Mighty Mjollnir itself. 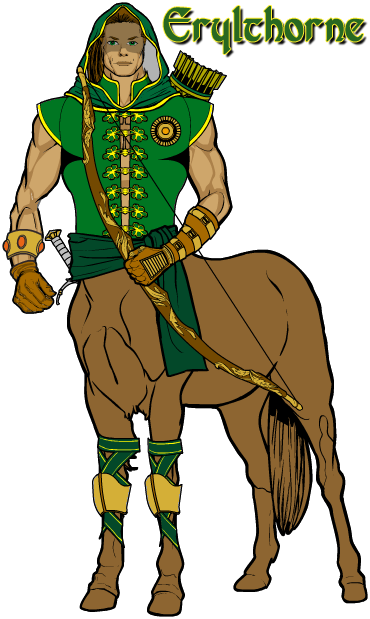 This is Erylthorne, the Centaur ranger that I played in a D&D campaign some 33 years ago. It was a lot of fun trying to recreate him in HM3, and the result is very much the way I pictured him when he first joined the party. Later he had a magnificent shirt of mail and some serious barding, but this is how he was equipped when he was created. I still have a warm spot in my heart for him for a couple of reasons, even though he’s been on the shelf for nearly 30 years. First off, when he was introduced replacing my dwarven fighter who got killed off, the players all agreed that it was really out of character to just pick up a stranger as a replacement party just because a player had a new character or a new player joined the game, and so I had to do a lot of roll playing to win them over, which was hard since I was several levels lower than everyone else, and so not of great intrinsic value to the party. Not wanting to bend his character too much to the player problem of insinuating him into the party, I ended up playing him as a rather stiff-necked and incredibly proud character, who even though he was surrounded by very power mages and the like, wasn’t about to be cowed by anyone or compromise his principles. (He was very Lawful Good and the party average was a lot more neutral than that.) This made the task of winning their respect that much harder. He ended up being a very noble character and was one of those who take on a life of their own, where you know what they would do in a situation rather than what you want them to do. Second, he was the first of a series of more exotic characters that I ended up playing, from races not generally allowed to be PCs at the time. And that turned out to be a lot of fun because you had to make up a lot of stuff rather than relying on the stock characterization. He really did a lot to shape the way I’ve played for the last three decades. Thank you, Jeff, for this particular contest. I’m not sure I would have thought to try to recreate him if you hadn’t suggested it, and he really is a sentimental favorite that I hadn’t thought about in several years. one of my old dsa-chars (dsa: Das Schwarze Auge, is a german fantasy pen an paper rpg) i already made a quite long time ago with heromachine 2.
his name is efferdan nevesca, gipsy-like race. he is a tramp who was always tossed out of the bars the other group members went into (they were all warriors and nobles and stuff like that). was very much fun to play although he could not fight at all. well always wears an old hat and his epee, supporting his life by stealing apples, robbing people and by his huge-as-hell charisma-value. he is outlawed in several cities and one kingdom… enough said. Hmmm… I’ve been using HM to create characters for table top RPGs for YEARS now. I probably have a catalog of dozens of them from HM 2.x. Problem is most of them have some bit of photoshopery. I’ll have to go back trough and see which ones are pure HM. But to start things off, here’s my current character in a Conan campaign my game group is playing– Wulfric, The Brythunian Bull. Wulfric was born in the pastoral lands of Brythunia, but as a small child was kidnapped by Hyperborian slavers when the captain of the militia defending the town betrayed his men. Raised mostly by enslaved soldiers in the frigid mountains of Hyperboria, Wulfric lived a life of toil and hardship. After many years, Turanian raiders captured Wulfric and many other slaves from the Hyperborians. 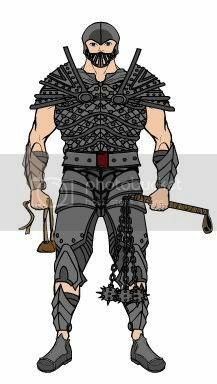 Now a strong and able-bodied adult, Wulfric was sold into a Turanian Ghulam as a slave-soldier. There he was trained in heavy infantry fighting under the burning desert sun of Turan. Eventually the Satrap who owned Wulfric was defeated by guile and deception rather than military force, and the Gulam was sold off. Wulfirc became a rower in the dank bowels of a private yacht on the Vilayet Sea. 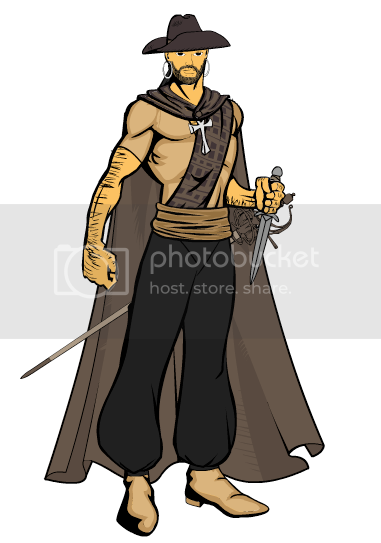 Along with the other slave-rowers, he was freed when the infamous pirate known as the Black Shark attacked the ship. Having no idea how to live as a free man, Wulfric became a pirate in the Black Shark’s fleet. He now serves under Captain Marciano aboard the Oath of Blood. The game I played this character in really doesn’t have a name because its an IM roleplay my best friend and I do/did. We do a LOT of different ones so we stopped giving them names. History: Devon Grant was a Texas born and raised kids who loved the outdoors. His love for hiking and camping allowed him to learn a lot of survival skills and hunting skills that would later become much needed when Z-Day hit. Shortly after he turned 19 a virus was released that quickly spread across the United States known as X99Z or as most people called it Z-Virus. It quickly wiped out much of the population turning them into near immortal killing machines. Devon survived for a year alone until he was found by a group of survivors. This small group of survivors would eventually form the Z-Cleaners as the groups number expanded. Many of the original members either died or were turned leaving Devon to be in control of their new colony of survivors. another dsa-char of mine and this time one im still playing. he is a hobbit and his name is kain. being a juggler and acrobat, he is (compared to other hobbits) quite muscular and… well acrobatic. his only weapons are two small but deadly knifes and his self-confidence and courage. all of these traits are not very much of a hobbit, but his talent for cooking and his love of trying and developing new recipes are outrageous. I present Payton Mansfield, a half-elven student at the Colligate Arcanum, the best college for the magically inclined. Although he originally intended to go into alchemy, he has found he is much more talented with elemental magics. He is a lord, since his father is a Baron in the city of Edgeworth. The school’s colors are red and black, and its symbol is a tricolored, three-way celtic loop, as seen on his chest. He wears a Warrior’s Band on his head, which increases his defense abilities significantly. He also wears the Cloak of Stars, with which he can save up to three spells for immediate use. He keeps on his had a Torch Ring, which can radiate light up to 100 feet. And his prized possession is his Laen staff. Laen is a elvish glass-like material, extremely durable and extremely powerful. It is enchanted with electrical spells. Seen behind him is the Library of the college, a truly monumental building. The Phantom Waster from a Gurps Post Apocolyptical game. No one knows his real name. He is only know as the Phantom Waster by the riff raff of his world. Once a raider who preyed upon the weak, the Phantom was betrayed by his comrades. After being subdued and buried him up to his neck in the wastelands, his head was dosed with gas and set ablaze. Through luck or pure will he survived and was rescued by a reclusive old man who turned out to be an ex-special forces soldier prior to the fall of humanity. He nursed the Phantom back to health and trained him in military tactics, martial arts, marksmanship and knife fighting. The Phantom’s face was horribly disfigured and he now wears a mask made of bandages and other scavenged pieces. He is obsessed with seeking revenge on his old gang. He is very stealthy and prefers to ambush his prey and dispatch them with his favorite weapon, the knife. He rarely talks and when he does it is in a creapy raspy voice. His current comrades are uneasy around him due to his appearance and his brutal way of dispatching enemies. The link didn’t post to my previous message lets see if it does here. Wow, I play extremely few games, but okay! I do, however, play the Sims 2, so I figured to do one of my Sims and awesome-ify him. Not much awesome-fication was necessary, though, since he was already a knight, but I digress. There is one problem which may stand out. On the long shot picture showing everything (not on the closeups), I accidentally layered the sword wrong so that it went under his left arm covering. I didn’t actually notice it until after I had closed HeroMachine, though, so I had to haphazardly fix it in paint. Is this grounds for mine to be DQ’d? I spent an hour on the character proper and then a good twenty minutes painting and repainting to replace part of his sword. Would you be willing to please consider him and ignore the stopgap blade? Anyway, here is my character, who I called Kweku Jacobs in the Sims. Penguin. Formerly a high-ranking military officer who used the popular game Warcraft to strategize against his enemies, he experienced a breakdown during a bio-terrorist attack, and went into a coma. His body started changing, becoming cryogenetic. When he woke up from his coma, he thought he was dreaming. He wreaked havoc around the country, playing his own little games, never realizing how real his dream world really was. 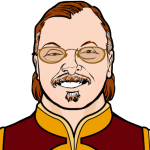 I created Bren for a game of 3rd edition D&D, but never got to use him. Another opportunity came along eventually and I revamped the character for 3.5 edition, but again I was unable to actually PLAY the character. Eventually, I played the character as an NPC in a game I ran and I also developed a fairly long and involved story for the character. He is, to this day, my favorite fantasy character that I created. He is the son of a barabarian princess and a dwarvish patron. He is one of two unidentical twins. His brother, Ivan, was raised as the next king for his mother’s people, while he was raised in a mercenary camp. He is a masterful swordsman and highly skilled ranger. He possesses two magical, great kukri swords: Quip (which he wields in his right hand) and the Talon of Aeryck (in his left hand). This is Hakashi Kurosen. 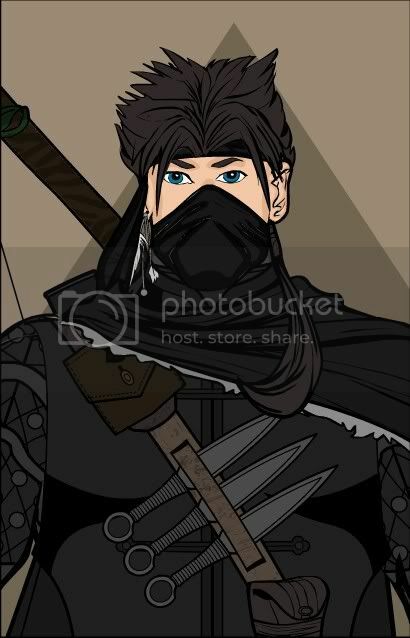 He’s an Assassin I made for Guild Wars. He was my first character for the game. I decided to make him an assassin because assassins are like ninjas, and ninjas pwn. The name actually doesn’t mean anything, at least when each word is counted as a whole. I just wanted to make it sound Japanese. I really had to work hard to get most of the details for his armor; I started yesterday and had to keep it open overnight. In the morning, HM3 wasn’t working well, so I actually had to restart from scratch. Hey Doomed Pixel, what games are your characters from? 2. I made it kind of runescape accurate. 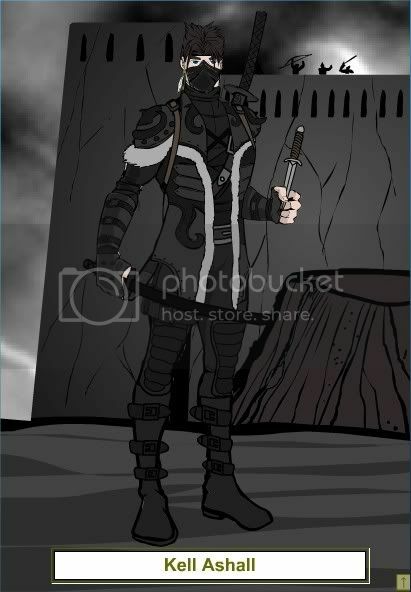 Hey, this doesn’t entirely have to do with the contest, but in my pic, the sword isn’t masked to his hand. I DID in fact mask it to his hand, but apparently when you mask something else, it resets all the other masks, so, if you noticed that and you know how to fix it, that would be quite nice. Excellent work, by the way; YOU are MY hero, dude. Here’s my second entry: Donovan, The Destroyer of Undead! Lol @ “runescape accuracy.” The picture actually does look pretty good! Runescape actually got a graphics update last July, so now normally the characters have black circles for eyes, and when they’re talking, the faces are more detailed. In a world where all the superheroes have disappeared, who will step forward to protect the innocent? This is Ruckus, a character I played in an old Marvel game.He started out as a mutant Brawler who found out he was the last in a line of magic beings known as Paladins. With the disappearance of Dr. Strange, Ruckus ultimately became Sorcerer Supreme of this world. Oh, and he also fell in love with a teammate who turned out to be a robot built by Hank Pym. This is Jarek Silverbane, a 2nd ed. D&D character I played for a while. While searching for his missing sister, Jarek was captured and enslaved by the Drow. While escaping, he was turned into a woman for 5 years. This is Vandal, from another Marvel game I played. He really wanted to be a superhero, but wasn’t really sure how to do it. He and his partner got the bright idea to commit crimes that they would then solve and become famous for. After the accidental deaths of a few cops, they were caught and sent to prison by The Avengers. Here is D-Day a Shadowrun character I played. I had the idea that he was addicted to these memory chips that allowed him to experience other peoples memories and experiences (ala the movie Strange Days) my GM had other ideas and ruled that with each chip, I would take on a different personality. Some actual characters from movies, such as Scarface, Rocky, Jay from the Kevin Smith movies. Before the end of the game, I was seriously considering suicide. This is Kallen my Cyber-Horsemen From Rifts. A Cyber-Horsemen is a Centuar that has had his horse half of his body replaced by Bionics. The Human half of the Body is untouched and left organic except for a few Cybernetic inplants in Kallen’s case he had Amplified Hearing and a Head Data Jack. Okay, I wasn’t sure where to put this, but I’ve decided on the prize item I want for winning the Character Contest 7. I would like a sword like the link below, but, here’s the catch. I would like some kind of a dragon design on the hilt (the part you hang on to). First up is a Draconian (more of a NPC than anything else, but a great character none the less). He fights under the command of a red dragon leader. (hence the insignia) They are fiercely loyal to their squad but easily distracted and confused. Next is a futuristic warrior. HIs job is to hunt down defective robots and shut them down, then to bring them in for repair. He works for the Robot Capture and Repair unit. “The tuskarr are a kind-natured nomadic race that roams the southern coastlines of Northrend, guided by the carved cyclopean statues that mark their seasonal fishing routes. The tuskarr’s tribal affiliation is evidenced by the sigils inscribed on their tusks, and although they are a peaceful race, they are constantly beset by the Kvaldir and an arctic race of murloc-like creatures known as the Gorloc. My third entry for the contest: the halfling monk of Chasmia, Nethyl “Tenrai” Florence! Nethyl (pronounced “neh-thull”) was created for a 3rd edition D&D game run by my oldest brother, JT. To this date, he is the only D&D character I have played from low levels (lvl 3) up into epic levels (level 21, to be exact). While playing this character, I got to know a different circle of friends than I had previously spent time with. Those people are all, with only one exception, still good friends whom I have now known for several years. As such, this character is special to me for sentimental value, as well. I remade the character as an NPC for a game I would later run, but that is a different story… Enjoy! Not sure if this is allowed but I decided to resubmit my character with a little more detail added. Jeff: are characters that my friends play ok? I’d rather it were a character YOU played Abadon, I’m partly curious to get a peek into how you all game. Here is my current character, Thamior Nailo the Elf Psion Kineticist for D&D v3.5. Meet Kyle “Overwatch” Sargon. A previous version of him has been up here before, but never in a contest. Overwatch is an agent of a government agency called “Department M.” A former police officer, military man, and CIA operative, he now works in high-level domestic law enforcement for the Department of Homeland Security (Department M being the metahuman branch of the agency). His powers come from a government project that he volunteered for. Thanks to this project’s augmenting effects, he is able to fly (although only at about 100mph) sense danger, shrug off small arms fire, and lift about 2.5 tons. His real power, though is in his suite of spatial manipulation abilities. He can teleport himself, his allies, or his enemies, co-locate to duplicate himself, warp space to stretch his limbs, create portals for short-range travel (much like the ones in the game Portal), and generate blasts or enhance his physical attacks by warping space in a small area. He isn’t the most powerful super out there, but he is one of the most adaptable, and his powers belong to a veteran law enforcer and covert operative, not a random civilian with a costume. The character is a PC in an ongoing Mutants & Masterminds game, and is currently 141 power points. (So a little under the normal starting point value) The GM started us at 120 PP and PL 8, we’ve moved up 21 pps and are now on the low end of PL 10. Played him throughout the 1990’s in Marvel comic’s aptly named RPG, Marvel. He’s an alien traitor to his own evil race. He possesses powers over the darkforce and darkness itself. Maxus was created for one of many games w/my brother Caleb. We created a world of sci-fi fantasy, where high tech and space travel were hand-in-hand with high sorcery and medieval weaponry. The result was the world of the “Elitists”, a universe of space-travel where advanced weapons technology has made the sword almost obsolete. Except in the hands of an Elitist, that is. The Elitist are a small number of warriors/mages, whose overall skill puts them light years ahead of even elite troops. Similar to the jedi and their lightsabers in the SW universe, the Elitists are the only ones who cary swords. Their “swords” range in style and design from booster-powered slabs of metal with only a slight cutting edge to energy swords to traditional cruciform blades. Regardless of the type of sword being carried, it can be guaranteed that the elitist knows full-well how to use his/her weapon. Maxus is one of the epic elitists in his world, as he is one of only two people who has crossed the boundaries of specialization in a given skill set and mastered numerous martial disciplines. The world of the elitists has a class-based system, where characters are given a particular class in which they advance & which evolve into advanced forms of the same class, depending on the path a character takes. There is a “rule” of no cross-classing in the world, which only two characters have ever been allowed to “break”. Maxus is a blue dragonkin. He is a mercenary and a bounty hunter. He began his career as a “knight” class character, meaning he specialized in melee and light-medium ranged weaponry. As he gained skill and experience, he crossed the boundary of class and assumed the mantle of the “archer” type, where he gained great skill with the heavy types of ranged weaponry. When he was finished mastering that skill set, he set his eyes upon the “assassin” class tree, which he also mastered. He is known as the “world-ender”, as his actions while dealing with his ultimate nemesis brought about the destruction of a populated planet, killing tens of billions. Maxus is of a neutral good alignment, so he tries to do good when he can, but his past and his reputaion make him the subject of much fear and scorn. His most hated enemy is another dragonkin, the evil red dragonkin named Mordhaeven. Isia and I are going to enter our Role Playing Characters on the same post because they go together. Their names are French Maid and The Man. Before I get started, I would like to say, that I originally created this character with the city of villians character creator, but my time expired, before I could actually use him in play, due to the fact that I was using another character. So if this is allowed, then here he is, and if not, I apolpogize in advance. 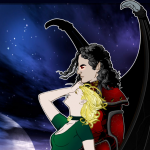 Description : Hades, Lord of the dead, you know the story, oh wait, no you don’t! Captured by the devil (that’s right, Hades and the devil are two seperate entities in my story), tortured and wrapped in barbwire, so that he is in constant, unbearable pain. He used to be a just ruler over the land of the dead, until he refused to share souls with the devil, but that all changed when he was abducted by the devil. He has the touch of death ability. Haven’t all the details worked out, but the jist is he and the devil battle over human souls. Favorite Aspect : What I like about this guy, is he has that “Monster Movie Creepy” about him. is from a Final Fantasy game a few years back with a couple of friends. He’s a Blue Mage, which has always been IMO the best-looking FF class. I guess I forgot to post the pictures. Here is a character for the Character Contest 8. I used him in a Marvel Superhero RPG. 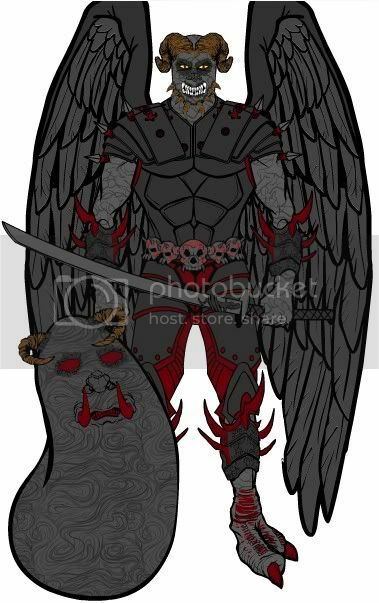 His hero name is Dark Angel, his real name is Nick Murdoch. Three of his main powers are kinetic bolt,life detection, and flight. His katana tells him when danger is near, similar to Spidermans spidey senses. He travels around the world with a blob that was created in a lab by Dr. John Howard. This blob,named Gar Fang has acid spit, the ability to shape shift into any living thing that Dark angel has seen, and go solid objects. Here’s my character from an online RPG forum. It is a Champions (HERO System) character. Major Travis Morgan led the expedition in the Antarctic for the Royal Scientific Society. The geologist were studying the mountain ranges. His knowledge of the continent was essential for the success of this mission. That was why the army had sent him. One day the geologists found a strange object in the ice. It was a sarcophagus or a cocoon made of stone and it glowed from within. It was brought to the British station and later transferred to a research facility near Birmingham. Only there it was completely freed from the surrounding ice. The object proved fascinatingly resilient versus every kind of treatment. Nothing could breach its hull, not x-rays nor laser. Major Morgan had his last day at the research center, he had been ordered to return to his unit, when the situation changed. It was almost a month since the object had been brought to England. At first only small chunks of the outer material fell off, later even very heavy parts broke off. The thing was falling apart. Every scientist was present when the astonishing happened. Something inside the cocoon moved. A hand! It was a hand that was visible inside it. A few moments later a tall naked man surrounded by a glowing golden aura stood before them. Major Morgan and Dr. Darrows welcomed him and spoke to him. For minutes the alien just looked at them with its golden eyes and did not move an inch. Then he spoke with a soft deep voice, but nobody understood him. Now almost a year later everybody knows that his name is Adam Vanayhan. He chose the name for himself, because he believes he is the new Adam to his race of Vanayhans. He learned the language fast and has since lived in the research facility. He was tested in almost every respect. He developed his first light-control powers after six months and was learning new tricks fast. Adam, Travis Morgan and Dr. Darrows sat together and tried to think of a proper codename for the new superhero. Finally they agreed on Sunstorm. If that name lasts, remains to be seen. His knowledge about the Vanayhan language and history was implanted by the scientists who created him. He is an artificial being imbued with energy, but he believes to be a pure Vanayhan. That is the only point were his memories are false. I thought I might have time to convert a couple of older HM2.x characters to HM3, but that ain’t gonna happen. I found three who had minimal PhotoShopping done to them. Fortunately I save the string code for all of my HM characters, so I was able to open their pure HM form to enter into the contest. First up, Mitch Hawker from a Spirit of the Century game set in the 1930s. Mitch was a WWI flying ace who stole a prototype aircraft that he had helped design. He couldn’t go back to the US–he was wanted there–but he spent his life bouncing all over the globe, seeking thrills, righting wrongs, and thwarting evil with his friends from the Century Club. I did the picture in Black & White because it was the 30s, and everything was black and white back then. Next up, Seth Lempke from a cowboys & aliens game we played using the Big Eyes, Small Mouth system. Seth grew up punching cattle on his parents ranch, the Lazy Pi, in the Cheyenne City Historical Recreation Zone on planet Apollo. When the aliens invaded… well, the game never actually got that far before it sort of fell apart. But I always like this character pic. Finally, we have Badgersnak, a Gnome Scout/Fighter from a D&D 3.5 game. Badgersnak was given that nickname as a small child growing up in the gnomish village of Underfern. One day he was nearly eaten by a badger… actually, you know, it was a wolverine, not a badger. But apparently “Wolverinesnak” sounds an awful lot like “Wolverine-Snkt!”– there were copyright and trademark issues, cease and desist letters, lawyers, judges, even a nasty phone call from Avi Arad. Long story short, the whole community just decided it was easier to call him Badgersnak. And the name stuck. Here’s Jalek, my very first DnD character. A half-orc barbarian (big surprise there), with Red Dragon scale mail and a Hellcat mount. When you have colored one eye, you can’t create another. It apparently exists, but can’t be seen. After using “all items” to resize and clicking on Headshot View, the character is reset to normal size. My home computer is down with a virus til next week so I’m entryless again. Good luck to everyone! 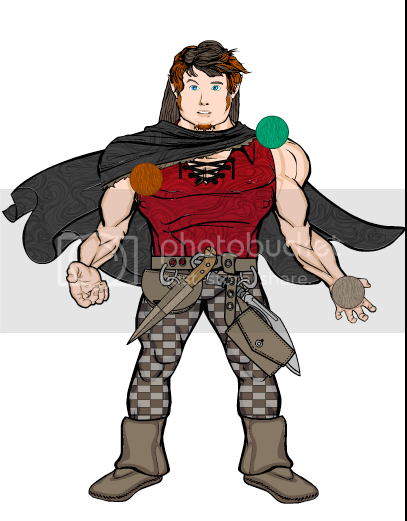 Jeff, would a create a character from like Soul Clibur 4 or Fable 2 be ok? Jeff don’t know if this character qualifies or not. I’ve never played an RPG (I know can you believe it). This is a character I played when I was using my action figures growing up. Ue lives in universe where random Donny Osmonds (yes, that’s plural) come bearing gifts of chocolate pudding. Where Grues are not vicious adventurer-eating monsters that lurk in the dark, but owners of quite pleasant taverns. Ue quests with her companion Not Important (yes, his name is Not Important) and a cat who speaks in fractured sentences with terrible spelling. No wonder she’s so confused. At last, a contest in which I have time to enter an entry. I haven’t played many PC because, more often than not, I’m the DM. But here is a NPC called Mordeur (It’s a French name. You pronounce the first syllable like the first syllable in Mordor and the second one like the second syllable murder). Mordeur was a recurring villain in a long-running game of 3rd editiom DnD. He was a barbarian from the same tribe as the PC, except he was corrupted by the demon king Ragnul and served him as hired muscle. The necrosed hand testify of the pact he made with Ragnul. When Mordeur first met the PC, he killed one of the PC’s older brother before getting killed himself. He was later revived as a flesh golem and later still as a ghost who took possesion of one of the PCs. Oh, I forgot. The wolf tooth he wears as a pendant is the symbol of his (ex-)tribe, the Iron-Fanged Wolves. Here is another character that i have used. I used him in a AD&D v3.5 His name is Skar, he is a halfling barbarian. His home town was raided by Ork vikings when he was young. He was raised as slave to fight for the orks in gladiatorial arenas. But one day, him and another daring halfling rouge named Barren Spit, escaped the life of slavery and left the ork viking camp forever. He carries with him a +1 Heavy Flail, a masterwork sling, and Mithral Chain Mail armor. Hmm, my comp screwed up when I tried to post my next and last entry, so I’m not sure if this is going to be a repost, but here it is anyways! Here’s my official last entry for the current contest, the adventurer Topaz. Topaz was the fourth character I made specifically for a game with my brother Caleb. He is a fantasy character, obviously. In a lot of ways, Topaz is more “mundane” than most of our other characters, in that he was nothing special, as far as heritage or anything. He is a fourth generation feline/human mix, hence his normal human appearance. He is slightly long-limbed than many others and he is very agile/nimble, but otherwise he was normal. The world the game was set in was two-sided, like a coin. Literally, I mean. The side where Topaz lived was about the size of jupiter, in terms of land surface area. The center of the world was an enormous desert which could support no life, but the outer edges were more hospitable to habitation. The “north” edge of the world had a society of men/wolf combinations. This culture had developed similarly to the early Russian culture in , customs, aesthetics, and architecture. The “eastern” edge was human/feline combinations, whose society was developing like the celts. The sourthern edge had a avian/human people, who had developed a culture which was an amalgam of all the major Asian cultures. The western edge had a lizard/human people, whose culture was the youngest and was still tribal in nature. The world was peaceful, until the desert started expanding and “demons” started appearing. In response to this, the different people sent out spies/agents to find out what was happening. None returend, until Topaz and his counterpart (my bro, Caleb’s character) successfully made it to the center of the desert. At the center, they discovered a sealed hole, which bore signs of having been worked at from the other side. This is my D20 Modern Post apocolyptic character named Laine. 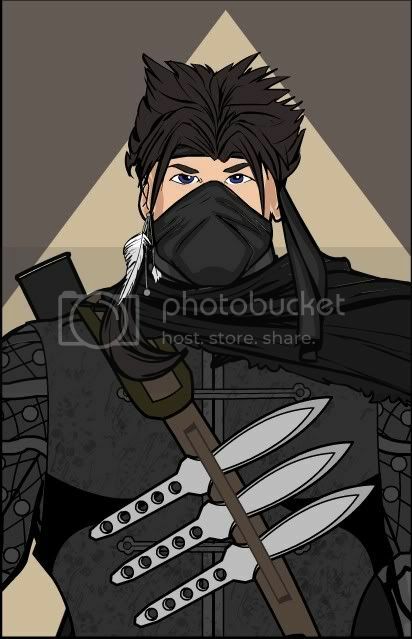 He Specialises in Down Knife combat, Katana combat as well as the way of the bow. He views guns as a crude weapon for the unskilled. A blade takes skill and disipline to use and it is the only thing that you can truly trust in his type of world, sometimes even more then yourself. The virus has turned about 90% of the worlds population into zombies and he is just trying to make it by any way he can. Thanks, i forgot to mention that he does has two pistols (back of belt) because even though he does despise them they are sometimes a necessary last ditch tool. I love it when a DM allows his or her players to choose non-standard races. This is Tira Dernforth Sarasi. She is a half-nymph from a D20 campaign I participated in this past year. The beautiful thing about the Nymph template I dug up, is that she gets a +5 bonus to charisma. When character creation was done, Tira had a 19 point charisma. For those of you who know DnD, this is pretty good. Story-wise, Tira was a psion, a psychic warrior. Her mind was her greatest weapon, from battering her opponents with mental force, to doing verbal battle with certain other members of her party. Things got pretty crazy, and by the end of the story, Tira had actually become a servant of the goddess she worshiped. Though my character Mikal Scott was around long before I started gaming, I did include him in the Mutants & Masterminds game our friend James started with us. It didn’t take many backstory changes either, since his plot centered around the mystery of why superhumans were appearing in a “normal” world. Mikal Scott wakes up in a lab, fragments of his memory skittering as he tries to take in his surroundings. He frees himself from the medical equipment covering his body, to find that guards have been alerted. He fights them off with ease, and wonders how he came about these abilities. When the second wave of guards appear, the ensuing fight causes a glass instrument panel to shatter outward, showering Mikal’s body with flying shards. Bleeding from hundreds of minor cuts, he manages to escape the lab. But the corporate logo on the laboratory doors is burned indelibly in his mind. Okay, I’ve gotta know: how is it people manage to get those blown-up pics from HM3? I’ve fiddled around with it on SEVERAL occassions, but I just couldn’t figure it out. B@d@ss pic, by the way, Damien. Here is The Dungeon Master. In all of the pen and paper games that I have played I have been the Dungeon Master. To enter his world is to enter a world that goes beyond dreams. @Damien – Gotta agree with darkvatican on this one Big-D, that pic of Mikal Scott is six different kinds of awesome. Love the way you used the braided pony tail for the eye scar. Truly inspired! Here’s my third and last entry: King Spider. This guy started off as a character I played in a campaign for Heroes & Heroines, what turned out to be a really bad supers game from Excel. A couple years later, when my friends and I discovered GURPS, I recreated him for use in a new campaign. King Spider’s real name was Tom Morgan, and he was kind of a sketchy dude. He’d been kicked out of the US Marines for unspecified crimes, and was making ends meet as a car thief and cat burglar, when he broke into the lab of Doctor White (an NPC villain) and stole a prototype spider-suit. Doctor White ended up taking Tom’s sister hostage, and she eventually died, leading Tom to re-evaluate his life and become a superhero. Definitely one of the most fun campaigns I was ever in. @darkvatican: just right-click anywhere on the character, select ‘zoom-in’ (you can zoom in more than once) and copy the image into Paint or something similar. You may have to zoom and copy more than once on different sections to get the whole thing. Then just merge them together on your paint/photoshop/etc. program. This is Keegan, a Tarutaru from FFXI that I played around with for a little while. Okay, I know I said my last entry WAS my last entry, but I thought I’d share this one, anyways. It’s not much in the posing department, but I like the way it turned out nonetheless. My brother and I got really heavily into LotR, when we were 12/13 yrs old. At that time, we created a buynch of characters for the actual world of Middle Earth, the two foremost being mine and my brother’s wizards, Dechlar the Gold (mine) and Valindir the Blue. According to some of the publications on the subject, the two other wizards sent to Middle Earth were both blue wizards, but Dechlar’s colors changed when he was recreated by Eru, after sacrificing himself to stop a rampaging dragon. (he failed, by the way) Although he failed to actually stop the dragon, his bravery and stoic sacrifice emboldened the humans he was trying to protect and they eventually stopped and killed the wyrm. The creator, Eru, was touched by the sacrifice of his creation and saw fit to recreate him, giving him the dragon’s color as his own. When Dechlar was originally sent to Middle Earth, he was the “youngest” in physical appearance. He was also physically the strongest of the five. Dechlar was a warrior spirit, when still amongst the Maiar (I think that’s what they were called. They were the order of spirits he was a part of), so his mission on Middle Earth, to do all he could to weaken the forces of the east that would eventually join Sauron, was more fitting to him than trying to organize the forces that would challenge Sauron head-on. He wasn’t the manipulator or orator that Gandalf was, so he often became hot-headed and furious at the kings/rulers he was forced to deal with. In the end he was successful, as the forces the east sent to aid Sauron, although numerous beyond counting, were still FAR fewer than would have been sent otherwise. The second entry from me is Antares Dawntreader, philosopher, thinker, hurler of magic and wielder of sharp pointy swords. He formerly lead a band of mercenaries that were wiped out by a werewolf attack that Antares and his group had failed to prevent. Hell-bent on revenge, he easily agreed to accompany the party into werewolf territory for a surgical strike on the wolves’ very heartland. Instead, they unleashed a dark goddess and her consorts upon an unsuspecting world. Fun fact, though his alignment started the game as Lawful Neutral, it was switched to Neutral Evil through a magical pair of dice towards the end of the game. Funny part was, evil Antares made more progress towards the party’s objectives in the course of a few nights than they had previously accomplished in months. Also, the campaign that my previous entry, Tira, originated from, was a direct sequel to Antares’ campaign that dealt with the consequences of what Antares and Co. had done. Fun stuff! I played Siempr Fragn, Gnomish Mercenary, in a role-playing game back in college. His deal was that he wasn’t going to be a typical gnome (whatever that means) and instead went to a war college, then struck out on his own as a free-lancer. The party of adventurers signed him on after he defeated their ogre in single combat. He’s got a few scars on his body, face, and armor (made from eyebrows) and always has a grin…and an eye for the ladies! Rawr! I present to you, The Red Baron. The Red Baron is a powered armor super-hero with both cybernetic wings and the ability throw plasma bolts. His real identity is a man named Alex Toplve. I created him an RP awhile back. Many years ago Alex as in a horrible car accident that broke his spinal cord and paralyzed from the middle of his back down. To get his life back he enlisted himself in a program experimenting with cybernetic implants. However due to the secrecy of the program he was declared dead to the public. The program was successful at giving him back mobility but they decided they didn’t want to stop there, despite Alex’s wishes. They tested cybernetic wings on him and different powered armors. Eventually Alex escaped from the facility using both the wings, powered armor, and his own abilities. But when he escaped Alex found out that his entire family was murdered. Alex just knew that it must of been someone from the program but when he returned to the facility it was completely empty. Since then he has been tracking down the killers. Doublecharge was a character I played back in an early GURPS Supers game. She has since become an important player in my superhero fiction. Her powers of flight and lightning aren’t especially powerful or exceptional, but her keen tactical mind and no-nonsense attitude makes her an excellent field commander for the superhero team Just Cause. Here is a Sorcerer that I played briefly for a few D&D v3.5 games. He has a cat familiar. 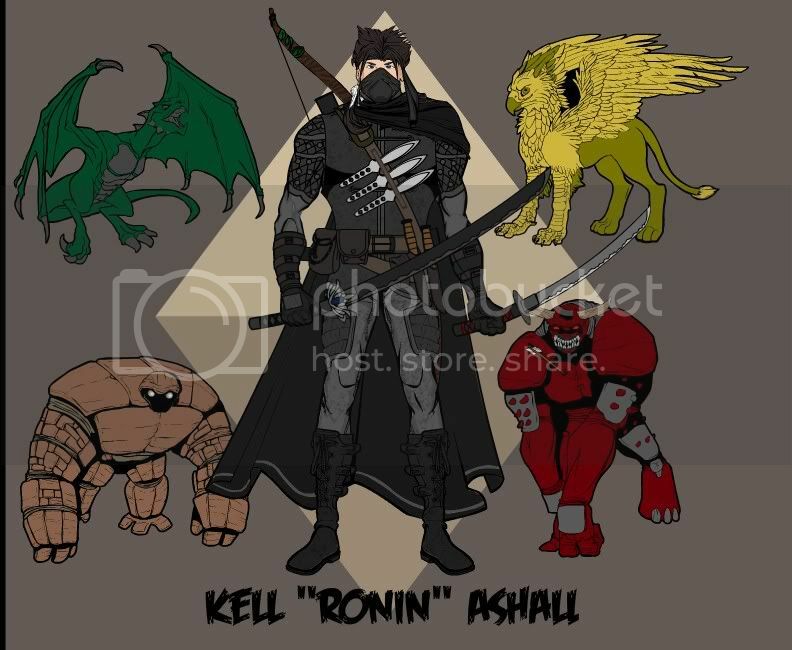 Here is my Neverwinter Nights character Kell Ashall. He is a Fighter, Rouge, and a Weaponmaster specializing in katanas. He is a very well rounded individual with high strength, high dexterity, good constitution, good, intellegence, and decent wisdom and charisma. Kell’s Rouge levels allow him to be stealthy, skilled, and an excellent thief while his Fighter and Weaponmaster levels make him nearly unstoppable. Kell is a Lawful Neutral chararcter. While his motivations are usually mercenary, he is a man of honor and has a strict code of ethics. While he tends to be a good person on the whole, his use of violence against anyone who crosses him ensures that his alignment is neutral. However his is not adverse to talking his way out of difficult situations and is always suspicious of others (note this has saved him countless times). 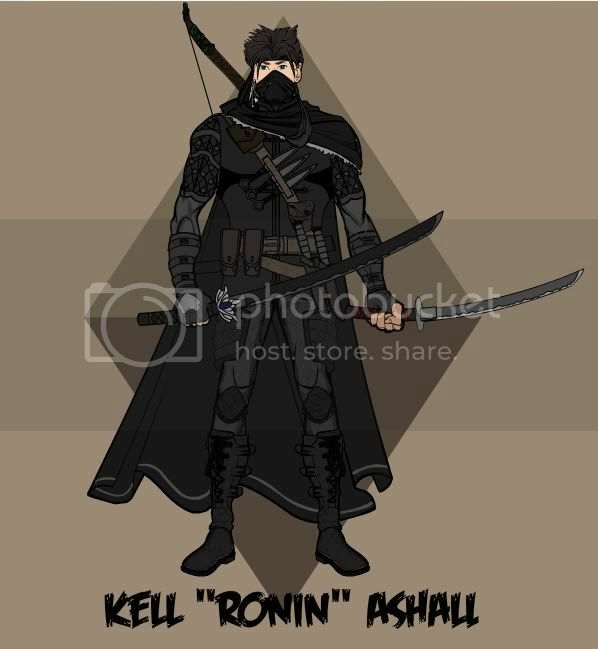 As a mercenary Kell is often known by the nickname “Ronin”. Hardware was originally created for an online, play-by-post game. The premise of the game was that a mutagenic virus escaped from a lab and infected an unknown number of teenagers in a nearby town. Each player was allowed to select three powers for their character, Hardware has Photographic reflexes, Telemechanics, and regeneration. Hardware tended to be a bit of a gadget maker, and carried a number of tools in a utility belt. This game went on for some time, but one day the GM just vanished. I kept the design simple in an attempt to build what a teenage superhero would come up with. (I had left the face out because I was concentrating on the costume). That game fell through, so I did not get to play him at that time. Later My buddy wants to start a table top game (with me and my two oldest sons), so I dusted off Hardware again, and updated him. Now I have Heromachine 2.5 to play with. During that campaign, our characters were captured and placed in stasis for ten years. We were awoken to a post-apocalyptic world. We learned that shortly after we were taken, a couple of powerful mutants had battled near New York, in the ensuing combat New York was destroyed. Normal humans blamed the powered humans and war broke out. The humans had sheer numbers, plus a technology that was capable of nullifying powers. The humans wiped out the powered beings, but Earth was nearly destroyed in the process. We had to escape from the stasis facility. There were perhaps forty super powered beings that were kept with us, some heroes, some villains. During the escape, we located our missing gear, along with the gear of some heroes that died during the break out. For the ‘redshirts’ that were imprisoned with us, the GM used some canned stats of existing marvel characters. Hardware adopted the use of the bow at this time, wanting some additional firepower in this new world. The we went on Hiatus. D’oh! Now though, Hardware has been exposed to future technology, and his telemechanic abilities gave him the power to recreate it. He redesigned his costume again, upgrading his armor and systems, he also made the bow a permanent addition. Just in time for Heromachine 3! Hardware prefers hand to hand combat, his photographic reflexes has made him one of the most skilled fighters in our Superhero world. He does carry a pair of telescopic staves, and now the bow with a variety of arrow heads. There you have Hardware, from first days as a teen hero, to now, a Hero with a grave mission to save the world, all as the various editions of Heromachine has evolved. Electromatter’s real name is Robert Crium, He is 25. His father,Dale Crium, was a genious……he was testing to see if radioactivity would increase power in electricity…….what he didnt realize was that since he had rolled a 3 year-old Robert in inside his stroller he never buckeled him in………so when they did the experement Robert walked right into the Radioactive-Energy field and was changed for life. his skin was forever pale his hair turned a gold hue………..the strangest part of all was that when he got into a tantrum, sparks would appear around his hands like a wet circuit. 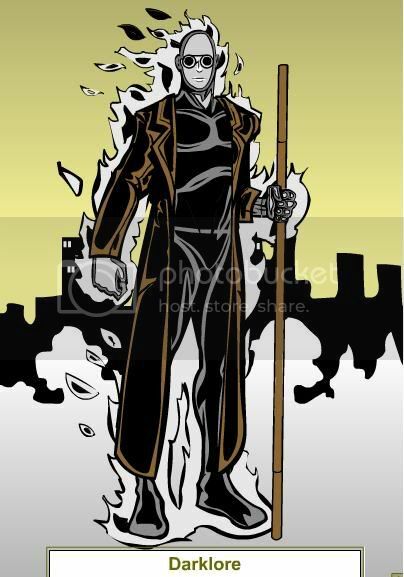 When his father died he was so upset he started sparking worse than ever untill………….lightning shot from his hand! he figured out how to control it and found out he could actually bend energy at will and use it like telekineses……..ElectroKineses! He then became “Electromatter” ……..Continued story……..Robert had a brother named Gary his mother had a kid with another guy before metting Roberts dad…….the other guy had custody….upon learning about his past Gary went psyco and found the lab where robert was mutated when he heard about the accident….he recreated the experiment but Instead of using electricity he stood in a wind tunnel creating AeroKinesis!….he later found Dale Crium and killed him with his new AeroKinesis as “AERO”! the brothers are now mortal enemies! Whenever they battle and they’re elements collide lightning storms thunder across the battlefeild! 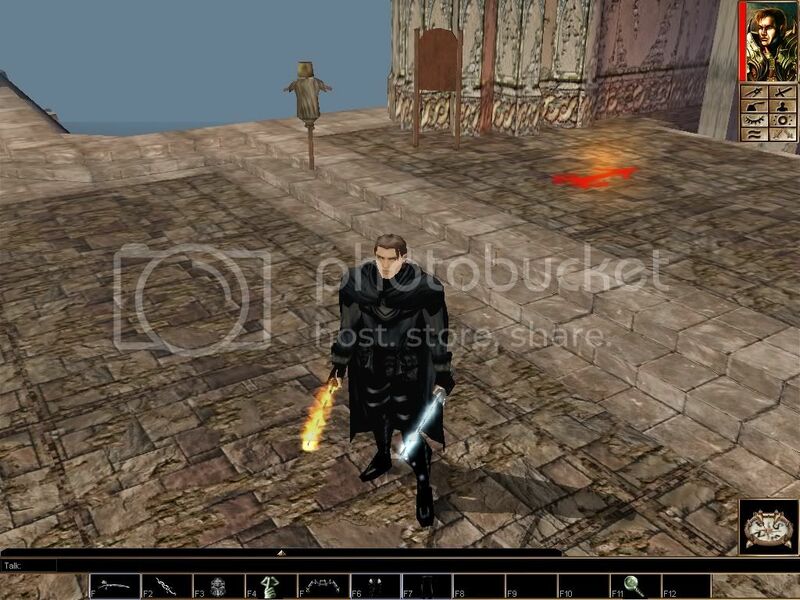 Hello, this is my character Hunter,the vampire slayer,. I played him in a marvel classic game. I based him off Blade from the movies. His favored weapons are his silver long sword and his Mac-10 automatic pistol.